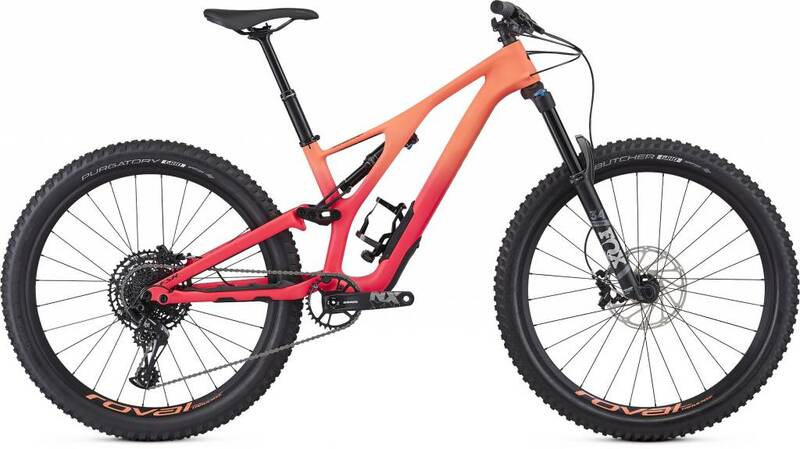 The Stumpjumper's asymmetrical, FACT 11m carbon fiber construction is lightweight, stiff, and ready to take on the trail. 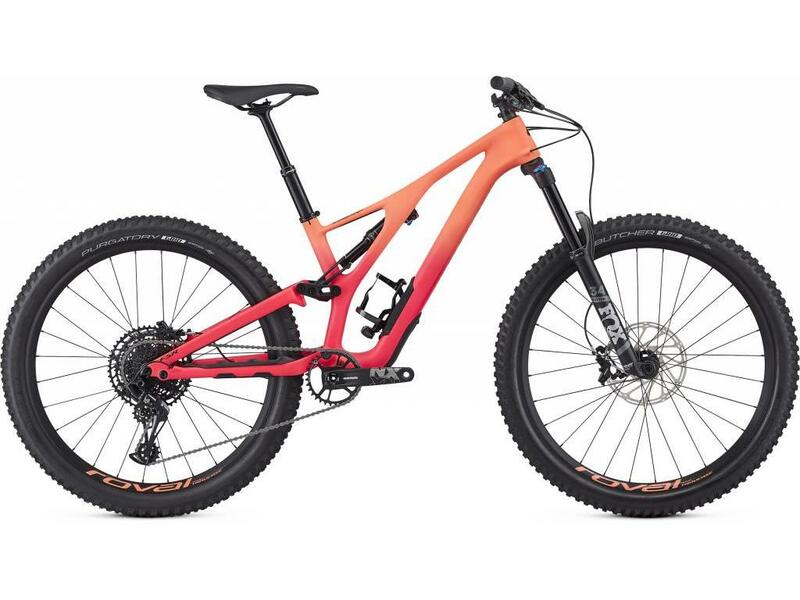 It's built off our 27.5 Trail Geometry, so it's just the right amount of both capable and comfortable. And with SWAT™ integration in the down tube, a threaded BB, easy cable routing, and an all new chain silencer, it's ready for anything the trail, or you, throw at it. The FOX DPS Performance rear shock features our Rx Women's Tune, ensuring that no matter the wheel or frame size, your bike is dialed-in perfectly. SRAM's 12-speed NX Eagle groupset features a wide gear range that delivers climbing and descending efficiency in spades. FRONT TIRE – Butcher, GRID Casing, GRIPTON® compound, 2Bliss Ready, 27.5x2.6"
REAR TIRE – Purgatory, GRID Casing, GRIPTON® compound, 2Bliss Ready, 27.5x2.6"